Puerto Mínguez impact ejecta. 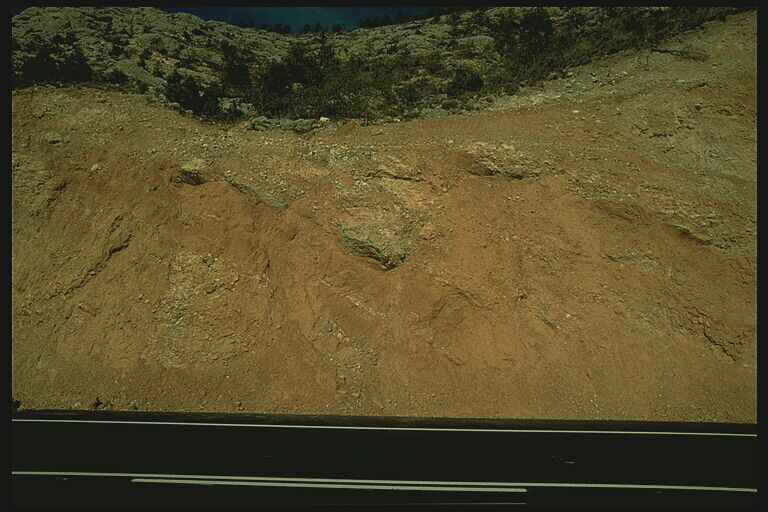 Part of about 5 km continuous deposits exposed by road cut. 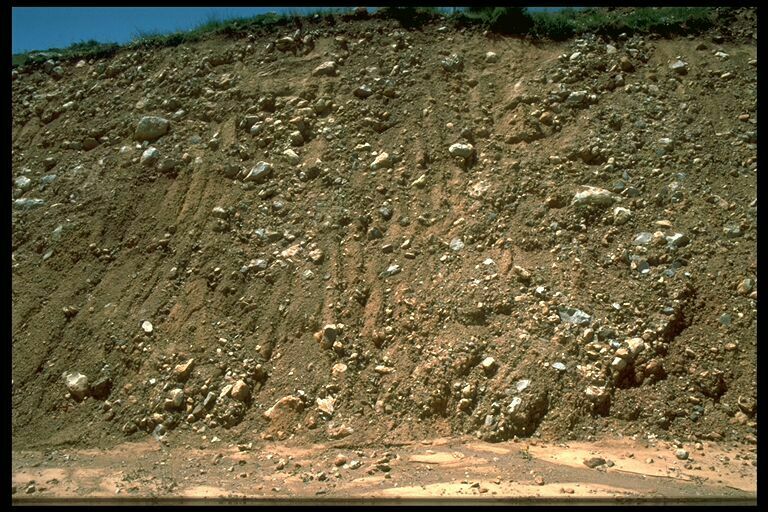 The rocks shown are an intense mixture of excavated and local material probably due to ballistic erosion and sedimentation (Oberbeck 1975). bowl-shaped accumulations of rounded and subrounded limestone components in fine-grained matrix. 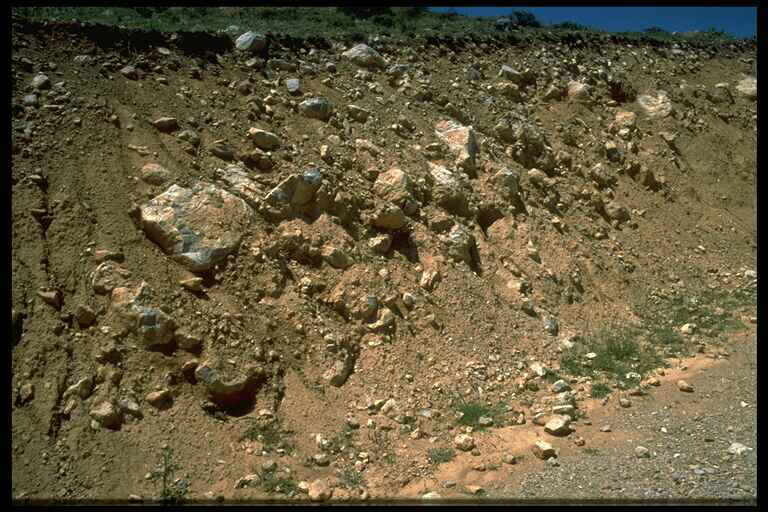 Also note that the limestone components are heavily deformed plastically (see: Mesoscopic deformations), practically without exception and regardless of size. 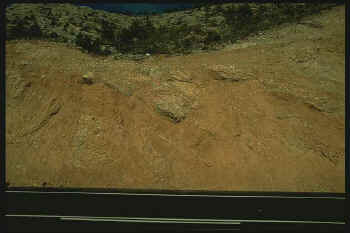 Impact ejecta at the Puerto Mínguez. 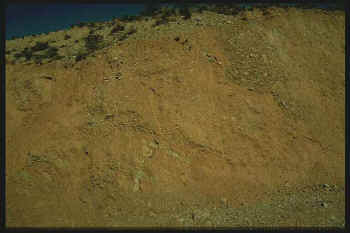 Intense mixture of prevailing Paleozoic (dark) and few Lower Tertiary (more reddish) material. The light components are Mesozoic limestone cobbles and boulders, probably originating from Lower Tertiary conglomerates. 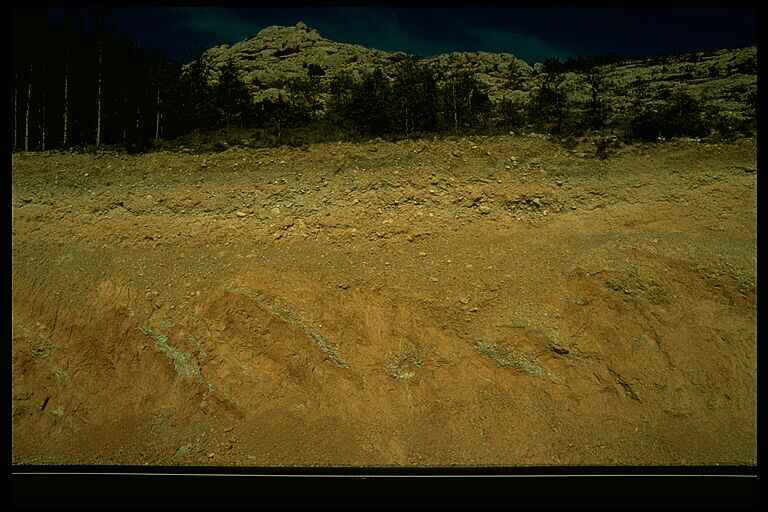 All (!) 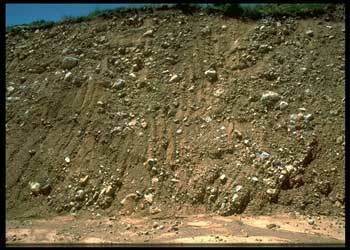 limestone cobbles and boulders show plastic deformation in the form of intense and deep striations and imprints. Mirror polish and rotated fractures (see the respective photographs: Mesoscopic deformations) are frequent. 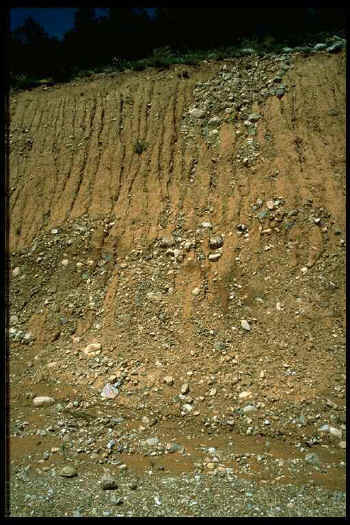 In the Paleozoic material, schist components are also striated. Outcrop height about 8 m.
Impact ejecta at the Puerto Mínguez. 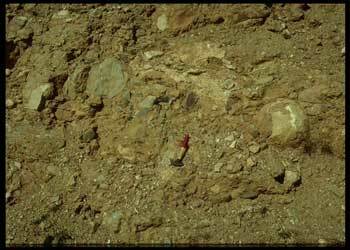 Different from the situation shown above, the large limestone components are not rounded but appear to be fragments of a Mesozoic megablock intermixed within the Paleozoic material. 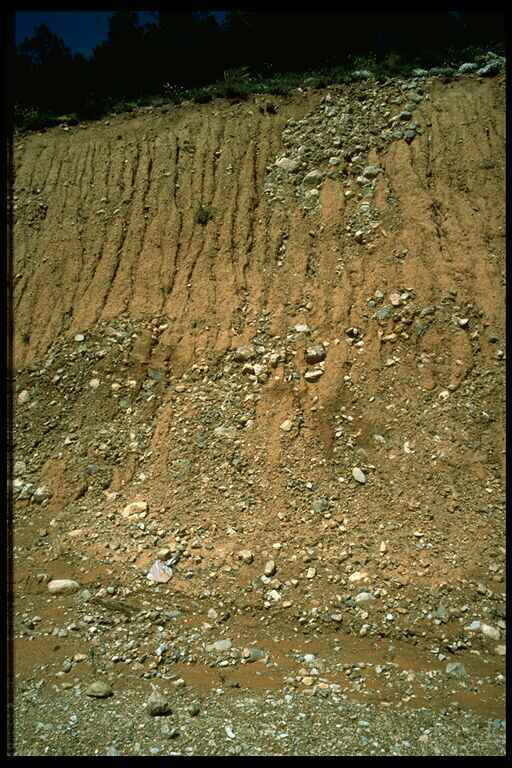 It is evident that this layering is not the result of fluvial deposition, as suggested by some geologists. 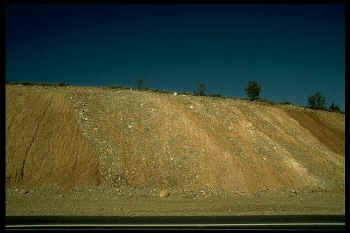 – About 5 m in height. Puerto Mínguez impact ejecta: Intense mixture of rounded, subrounded and angular Mesozoic and Paleozoic components in a sandy and marly matrix. 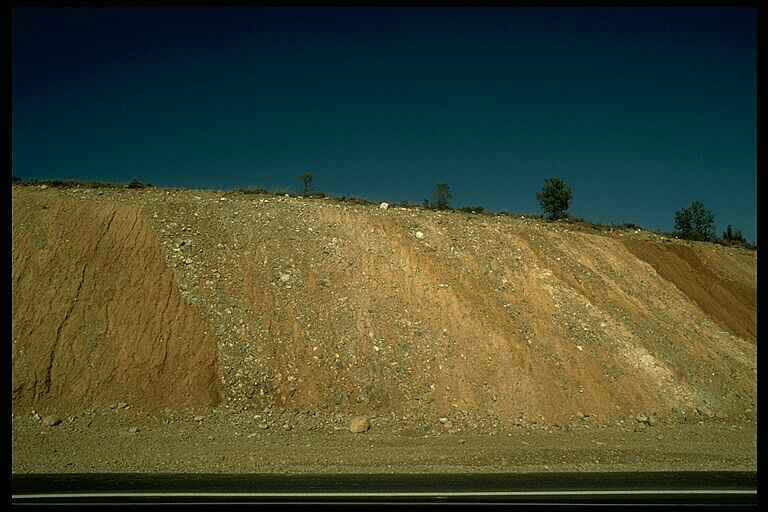 The angular Paleozoic quartzite fragments may have made Moissenet et al. 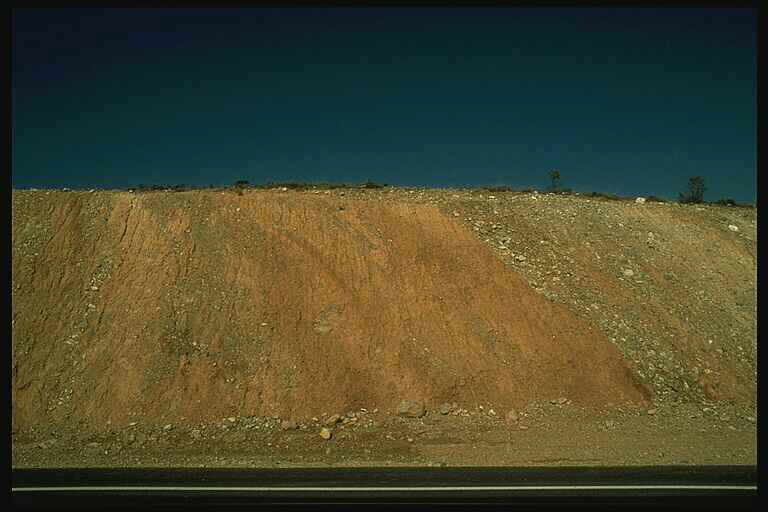 to write in their 1972 paper about the “enigmatic” deposit at the Puerto (which means pass height) Mínguez. 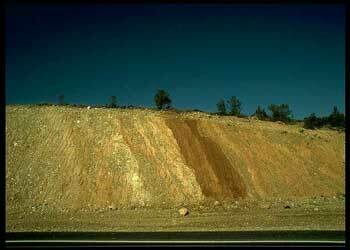 Paleozoic rocks are not exposed up to a distance of about 15 km!